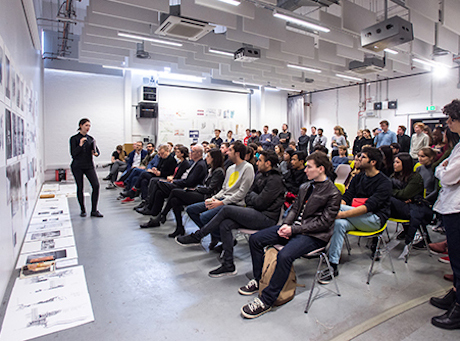 The Bartlett has taken second place in the QS World University Rankings 2015 for Architecture and the Built Environment, coming second to MIT and topping the list of UK universities. The faculty, the most comprehensive of its kind in the world in the built environment field, obtained the maximum score for academic reputation, also outscoring MIT for citations, and tying on research impact. The top ten institutions also included Delft University of Technology, University of California Berkeley, Harvard, Tsinghua University in China, and ETH Zurich. UCL took fifth place in the overall rankings. In addition to the faculty’s top QS world ranking results, the recently published LinkedIn University ranking, which illustrates the successful career trajectories of graduates globally, places UCL as the number one for design education. The Bartlett’s standing in the QS World Rankings is preceded by its outstanding REF2014 performance, which confirmed that the faculty is producing the most world-leading 4* research in its field in the UK and scoring highly in research impact. The REF2014 submission also stood out for its inclusiveness; The Bartlett submitted 95% of its eligible staff, submitting more than twice the number of staff of the next largest submission. Nearly a third of the staff members in The Bartlett’s submission were Early Career Researchers, more than any other university within the same unit of assessment. These successes exemplify The Bartlett as a leading institution in its field: its interdisciplinary and comprehensive nature, its anchoring in the real world of research impacts, design skills and employability, and its world-class standing in international academia and output. The QS World University Rankings is an annual league table of the top 600 universities in the world, and one of the best known. The rankings are based on academic reputation, faculty/student ratios, academic citations, research, teaching and international reach.